CHICAGO, ILL. - The national law firm of Quarles & Brady LLP announced that Steven V. Hunter, a partner in the Firm's Chicago office, has been appointed to the Chicago Child Care Society's ("CCCS") board of directors. 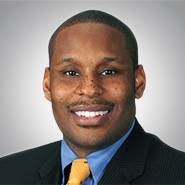 Mr. Hunter is a member of the Firm's Commercial Litigation Group. He is a trial lawyer with first-chair experience representing lending institutions, corporations, entertainers and athletes in business disputes and government investigations. He holds an ACEDS e-Discovery specialist certification, authors a monthly column on discovery in the digital age and has significant experience managing high-volume electronic data production and forensic data collection. In addition to his work with CCS, he serves on the boards of: the Chicago Sinfonietta, HealthConnect One, Inc., the Illinois Attorney Registration and Disciplinary Committee (hearing officer) and the Iona Calhoun School of Classical Ballet. Among other awards, he has been named: one of the "Nation's Best Advocates: 40 Lawyers Under 40" by the National Bar Association (2011), one of Chicago Lawyer magazine's "40 Lawyers Under 40 to Watch" (2008) and the Chicago Bar Association's "Exceptional Young Lawyer" (2006). He received his law degree from Georgetown University Law Center and his undergraduate degree in Economics and Political Science from Brown University. The Chicago Child Care Society has been serving children and families since 1849. Located in Hyde Park, CCCS is the oldest existing child welfare agency in the state of Illinois. Through current programs such as early childhood education programs, teen parenting support, educational mentoring and family support, CCCS provides the chance for children and youth to experience positive relationships and opportunities. Quarles & Brady LLP is a full-service law firm with 425 attorneys practicing from offices in Phoenix and Tucson, Ariz.; Chicago, Ill.; Naples and Tampa, Fla.; Milwaukee and Madison, Wis.; and Shanghai, China. The Firm offers an array of legal services to corporate and individual clients that range from small entrepreneurial businesses to Fortune 100 companies. Additional information about the Firm may be found at www.quarles.com. Follow the Firm on Twitter @QuarlesandBrady or on LinkedIn at http://www.linkedin.com/company/quarles-&-brady-llp.